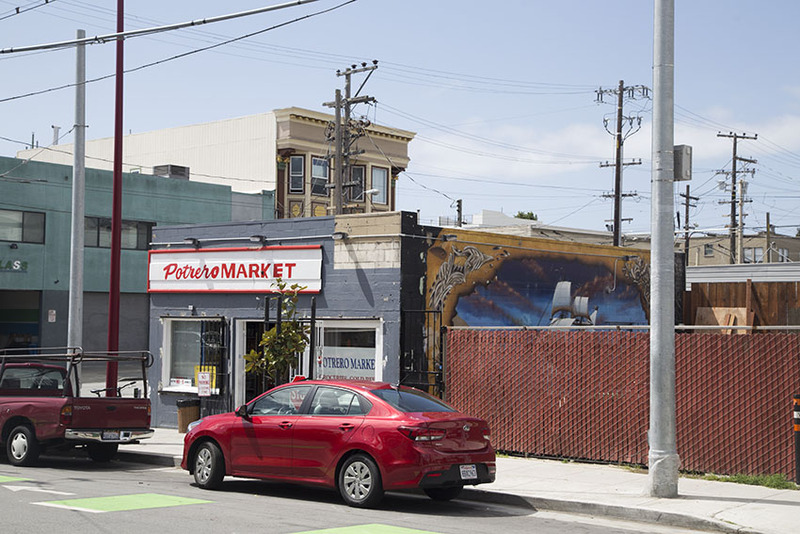 The Mission has long been an entertainment zone for the city — home to racetracks, bear and bullfights, beer parlors (including The Willows), and other amusements. Some of those old bars, such as Elixir (established in 1858) and Homestead (since 1902), still stand, while several have gone the way of the dinosaur. This week, we will be exploring some of the watering holes of The Mission that are no more — what they were, where they stood and what is there today. 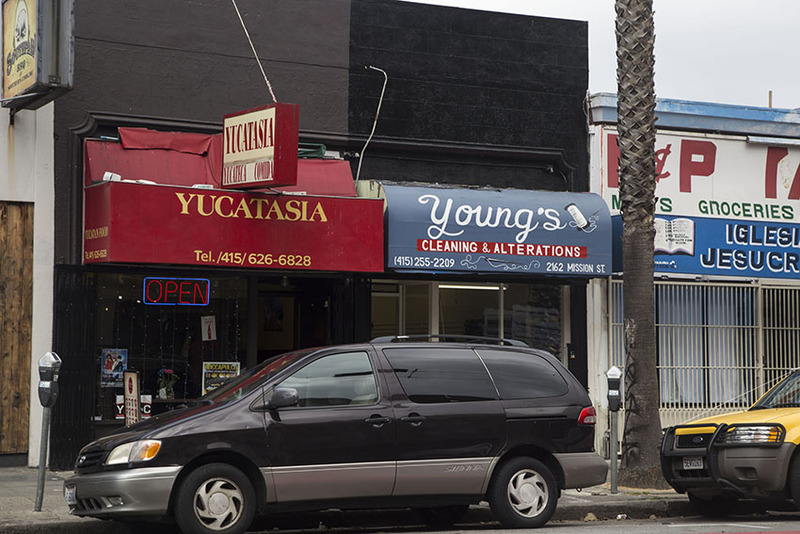 During the early 1900s, 2162 Mission St., which now houses Young’s Cleaners & Alterations, was home to The Mayfield saloon. 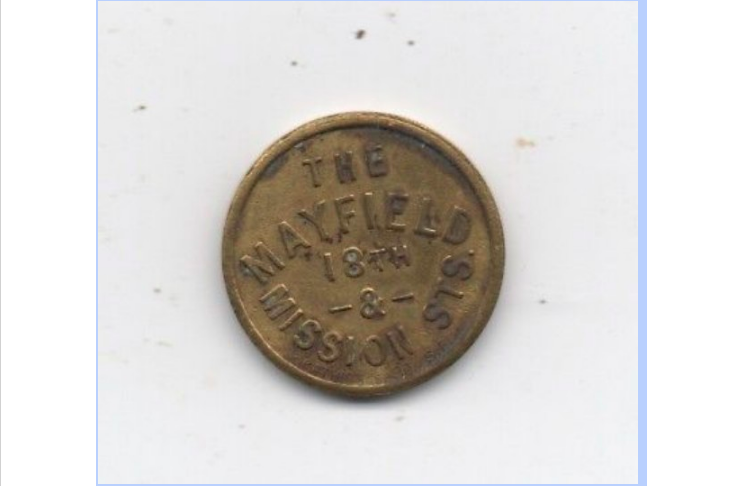 The above token was “good for 5 cents in trade” at the Mayfield, which occupied the address from 1907, where it appears in the San Francisco-Oakland Directory, to 1910 (when the coin was made). 2162 Mission Street. Photo by Abraham Rodriguez. 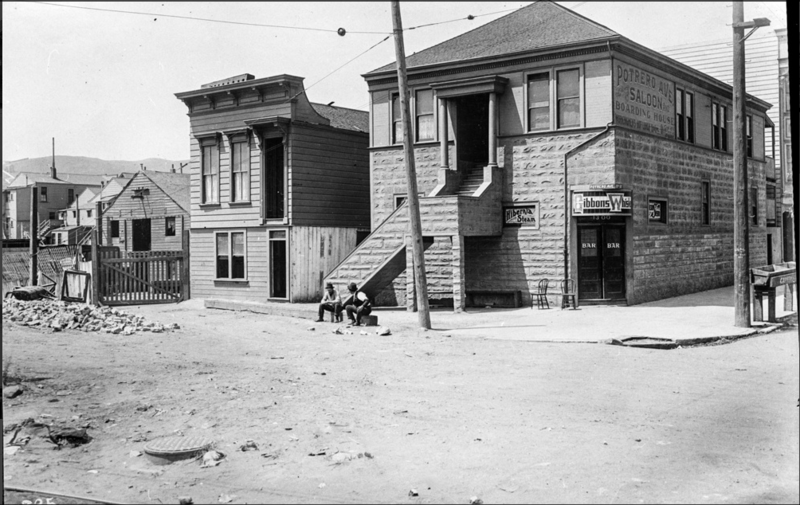 This photo shows the Potrero Ave. Saloon and Boarding House, located 50 feet south of 25th St. on Potrero Ave, in 1911. August Legner, the owner of the bar (which, according to the San Francisco Call, was located at 24th and Potrero Avenue), was arrested on March 19, 1910, for possession of opium (check out the story here). 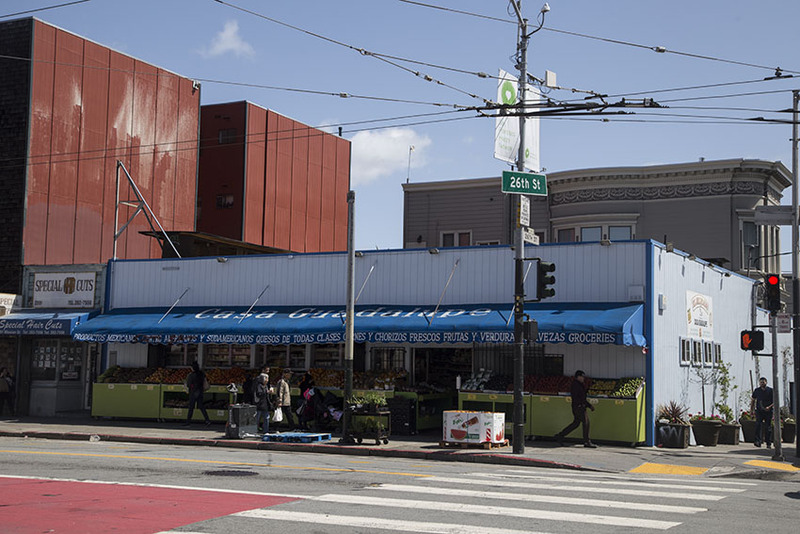 During the 1950s, the corner of 25th and Potrero Avenue (specifically 1298 Potrero Ave.) was the location of the U-Toast-It Fountain lunch restaurant; today it contains the Potrero Market & Deli. 25th and Potrero Avenue market. Photo by Abraham Rodriguez. 2999 Mission Street. Photo by Abraham Rodriguez. You have to love a bar named Martin’s Hole in the Wall. 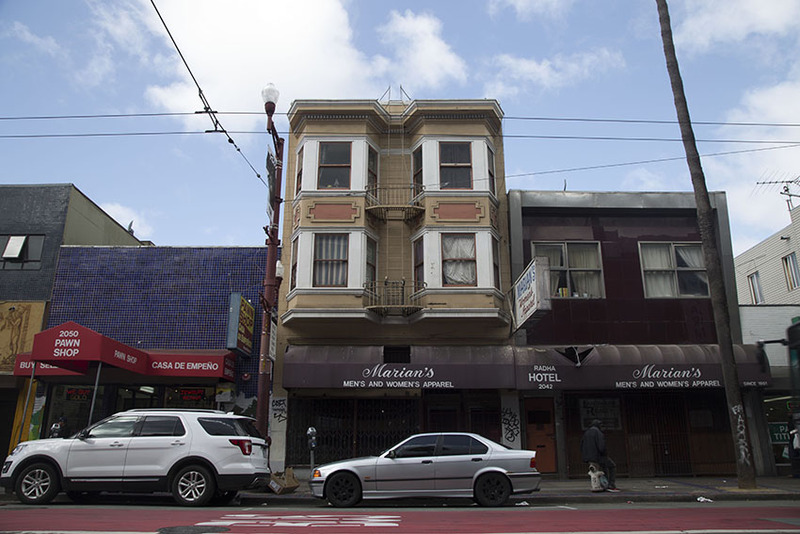 The establishment appears to have opened in 1934, and touted itself as being a place “where a good drink can be had at all times.” Today, 2048 Mission St., which was built in 1906, contains two apartments; next door at 2050 Mission is the Buy Sell Loan. 2048 Mission Street. Photo by Abraham Rodriguez. 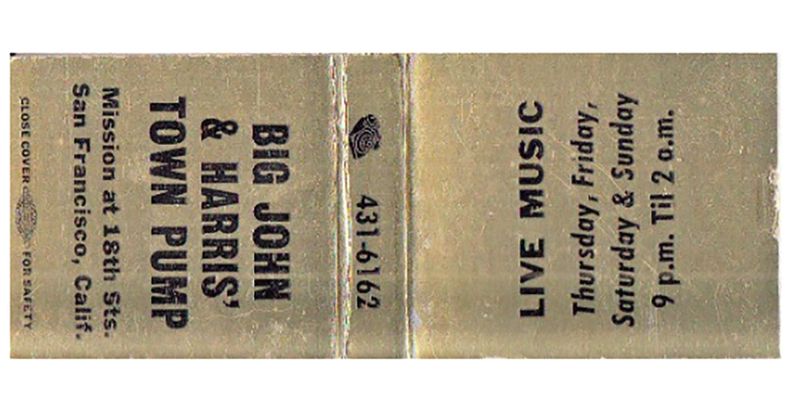 Another old-school bar with an interesting name was Big John & Harris’ Town Pump. One account described the watering hole as “a Hillbilly bar,” while photographer Dave Glass called it “a dive bar with a mix of locals, sailors and a few hookers. The place attracted the best pool players with their weekend pool tournaments, sometimes won by a one-armed Hawaiian man named Danny Hart.” The Town Pump also was known to have live music, with bands playing there in the late 1960s and ‘80s. 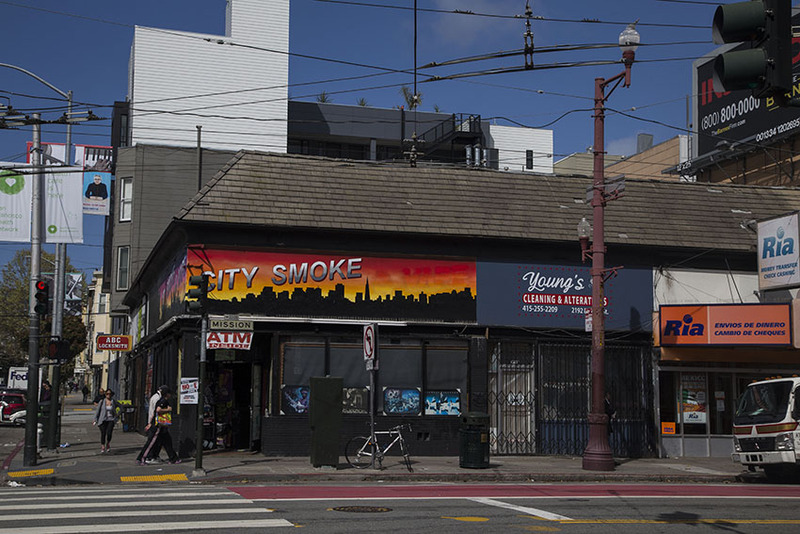 Today, the locale, whose address was most likely from 2190 to 2196 Mission St., is another Young’s Cleaning & Alterations (2192 Mission St.) and the City Smoke Shop (2196 Mission St.). 2192-2196 Mission Street. Photo by Abraham Rodriguez. Roddy’s Fish Bowl claimed to be the longest bar in the world. How long? So long that “those bartenders down at the end speak — with a Southern accent!” It is said that there were seven bartenders working during one shift to cover the entire bar space. In the spirit of being the biggest and the best, Roddy’s, located at 2631 Mission St., also claimed to serve the biggest beer in all of San Francisco. 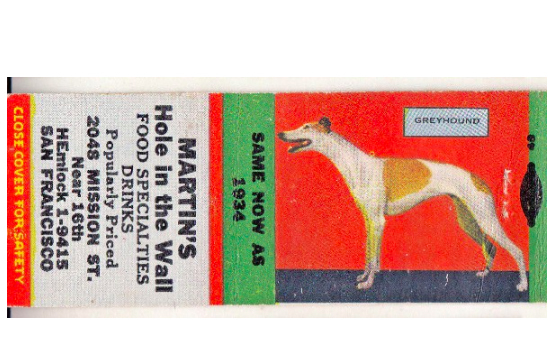 This matchbook from the bar is from sometime during 1940s or ‘50s (the building was constructed in 1904). An Irish immigrant owned the Mission bar and another at 1633 Fillmore St. (there was also later a Roddy’s at 32nd Ave. & Noriega, and another in Antioch.) 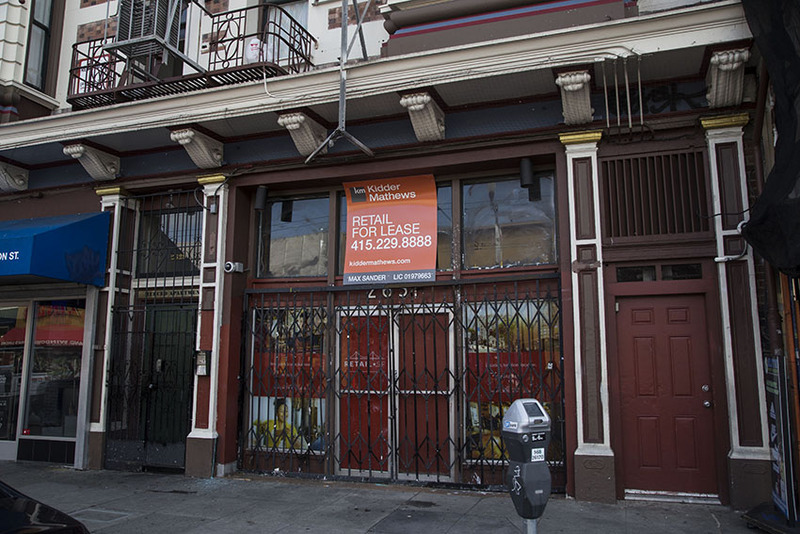 Today, an available-for-rent space stands where the Mission branch of Roddy’s once stood. 2631 Mission Street. Photo by Abraham Rodriguez. My mother was married to big John for a good number of years. He was a very big man as i remember. I think the last place he work at was in Reno.